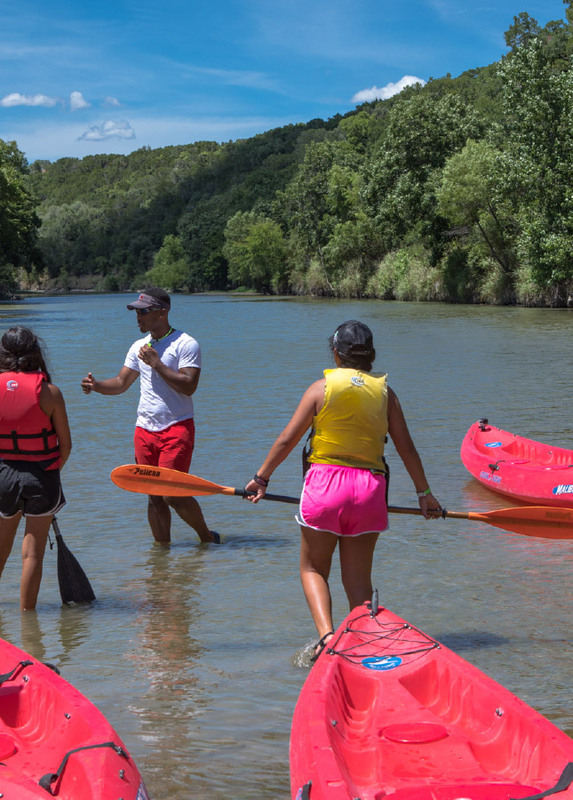 Camp Leadership U – 3 weeks at the Parrie Haynes Youth Ranch near Killeen, designed to introduce C5 Texans to leadership concepts, the C5 program and to establish the relationships and culture that will support their success for the next five years. Camp Leadership U2 – 4 weeks at the Parrie Haynes Youth Ranch near Killeen. Second year participants take on leadership roles working with the first year class while accepting a series of leadership challenges that focus and extend their skills. C5 Bridges /Rexam Leadership Challenge – three weeks of training that include leadership for preparing and executing a 14 day experience in Utah and Wyoming including: college visits, exploring legacy at Yellowstone National Park and exploring personal mission while on a 7 day back packing trip in the Big Horn Mountains. Road to College – Students plan and execute a 10 day tour of college in Texas and the surrounding states and explore college life and the admissions and scholarship application processes. ACT Now Summit – Student led week- long conference on a significant community issue focused on identifying solutions and advocating for change. This serves as the kick off for students individual Medallion Community Action Projects, a centerpiece of their final year. During the school year participants learn new skills and integrate the skills they have learned over the summer into their life at home and in their community through the C5 Pathways program, the year round community based program that supports and guides participants during the school year. C5 Pathways includes: group learning events, group project planning and individual responsibilities and coaching. Group Learning Events - Each class participates in 3-5 class specific learning events during the school year. These events are designed to help participants apply their leadership, community service and college and career skills in the context of their daily life. Events range from day long to weekend retreats. Group Practicums – Participants engage in group projects and planning committees throughout the school year. Examples include planning committees for the summer experiences, Newsletters/website, Leadership Summit and Community Service projects. Individual Responsibilities – C5 Texans are responsible for maintain a B average in their classes, completing 40-70 hours of community service each year, and completing and carrying out their leadership action, high school action and Community Action plans. C5 staff work as coaches with individual students on a monthly basis to help them complete these individual responsibilities.